LOWELL, Mass. 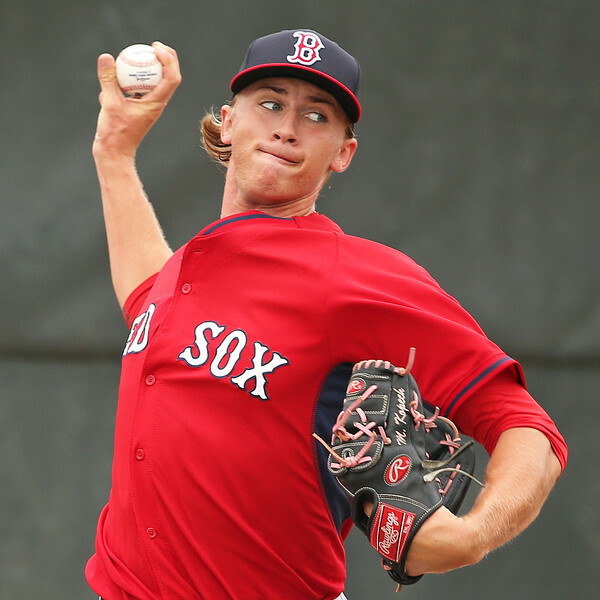 -- With almost a year off since his last start, Michael Kopech wasted no time showing off his most impressive asset Friday evening. While first pitch was delayed by more than half an hour due to Spinners’ Opening Night ceremonies, the right-hander quickly kicked the game into gear, hitting 99 mph with his first pitch. Kopech was consistently in the mid-to-high 90s, especially in the early innings, relying heavily on the heater. The long time off between starts—his last coming on July 12 a year ago in Greenville—can be attributed to a couple of youthful mistakes. Last July, he was suspended for 50 games after testing positive for a drug called Oxilofrine, a weight loss drug and stimulant. He apologized in a statement, saying he had no knowledge of how he could have ingested it. This spring, he was looking to put the suspension firmly in the past, when news came out that he had suffered a hand injury in a fight with his roommate. The broken throwing hand set him back yet again, but getting back on the mound Friday was an important step towards not letting these two incidents define his career. In this first start, he showed both the promise and developmental needs that he displayed last year. He did not allow a run and struck out four in the 4 1/3 innings that he was able to get through on 78 pitches as he works his way back to full strength. However, he also allowed four walks and four hits with just over half of his pitches going for strikes, displaying the control troubles that have been an issue throughout his early development. In his first two partial seasons, he struck out 9.88 batters per nine, but also walked 4.14 per nine. “Four walks and four hits is never really what you want, but to keep a zero on the board, that's big. I gave my team a chance to win,” Kopech said. Early in the game, it seemed like he was overthrowing the fastball. Though he showed great velocity, it did not always look like he knew where it was going. His manager agreed, but thought it was only natural. Kopech admitted the adrenaline was pumping a little too hard early on. He continued to rely heavily on his fastball throughout the outing, while mixing in some of his secondary offerings. Three of his four strikeouts came on fastballs, while the fourth was on a curveball. He showed great variation in his fastball velocity throughout the outing, getting two of the strikeouts on swing-and-misses against 95-96 mph fastballs, while he caught the batter looking at a 92-mph fastball on the outside corner for his third. While he was not scrapping triple digits later in the outing, his velocity did not drop off dramatically as the game progressed. At times, the fastball dipped as low as 91, but not necessarily as a result of fatigue. Rather, Kopech said it was intentional. “When I was getting behind in counts, I'd kind of just throw a BP fastball up there to see if I could get one over the plate. So yeah, I dropped down [in velocity] a little bit. I felt like I was able to maintain velocity [throughout the game] if I needed it,” he said. Of course, what he calls a batting-practice fastball was coming in at a velocity that other pitchers would be happy to hit consistently. As far as the next step, neither Kopech nor his manager articulated a firm plan. Right now, they are focused on building up his arm strength as he is still ramping up into regular-season form. 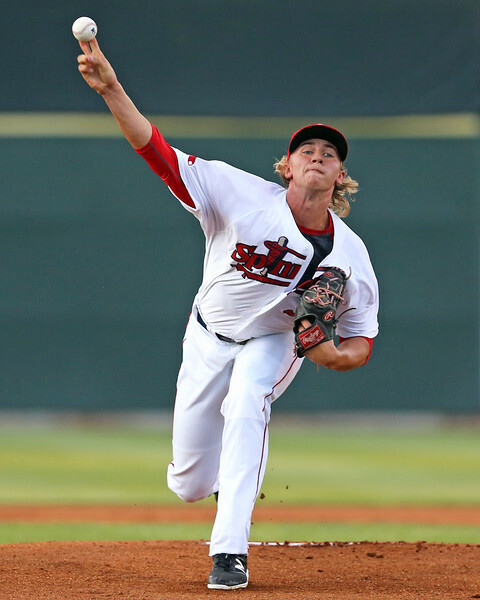 Kopech seemed content to spend as long as the organization felt necessary in Lowell though. After spending many monotonous months in Fort Myers, he sounded exuberant just to be back on the mound in game action.